Fancy’s Southern Romeo has an excellent pedigree with Sensation’s Southern Gentlemen on the top (bloodline of Southern Sunrise) and Perfections Midnight Fancy on the bottom. He is blue papered. 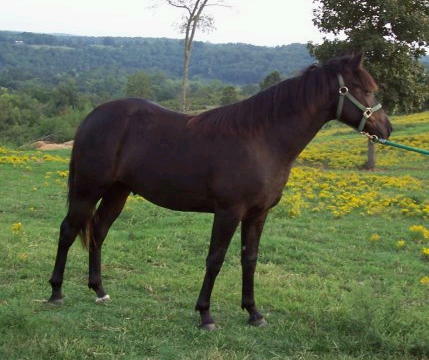 This yearling black gelding has a few white hairs in forehead and left rear coronet. He has a good disposition and, natural gait and correct conformation. Romeo is broke to lead, load, bathe, stand tied and clip. He is for sale. $2,500.00 Please contact us for more informaiton.